Docu Talents from the East is a programme thanks to which filmmakers working on documentary projects will be able to present them during Sarajevo Film Festival. 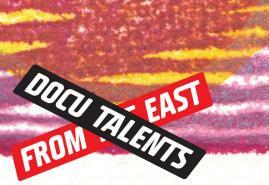 This year a Polish project will take part in Docu Talents. Directors and producers of ten feature documentary film projects selected to the Docu Talents from the East programme will have a chance to present their projects in front of the guests of the Film Festival in Sarajevo. The presentations will take place as a part of CineLin Industry Days section and each of them will take 8 minutes. Polish film "Dance with Me, Dad" directed by Małgorzata Goździk was invited to this year's edition. The film shows the relationship between father and his daughter which deteriorates when the protagonist leaves for college. Now the girl tries to restore the lost bond one step at a time by going to dance classes with her dad. The film producer is Big Wave Films. Docu Talents from the East programme has been organized since 2005 by Jihlava Documentary Film Festival together with Karlovy Vary Film Festival. After thirteen years the final presentation changed its location from the festival in Czech Republic to Sarajveo Film Festival. More information available on the organizer's website.